What is the correct definition of stocks that are on the rise? Is this a two-week rise or two-year rise? More importantly, what is the average percentage gain for a stock on the rise? Lastly, how do you identify a stock market on the rise? These are the types of questions I will clarify throughout this article. Before I start digging into the specifics, let me first commend you for taking a more logical approach to finding what stock is on the rise. Most people just go out there and buy or sell what feels right to them. Now, this hippy approach to trading may work if you have been trading for 25+ years and your experience has taken you to the point where you no longer need technical indicators or even charts. 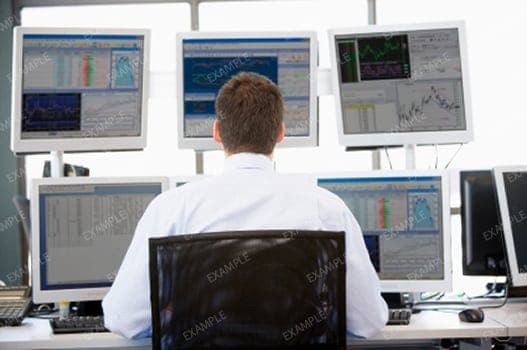 However, most traders will never ascend to this level of comprehension and will require some sort of mechanical or system-based approach when engaging the market. For my long-term investors, you will want to take a top-down approach to locating stock companies on the rise. When you think of top-down, first start with the sectors that are on the rise. This means you will need to have a list of all the actively traded sectors. To name a few there is gold, biotechnology, solar, banking, energy and the list goes on and on. Once you have identified the top 10 or so industries, you will then went to look through the major ETFs for each. For example, you should pull up the weekly chart of the iShares COMEX Gold Trust (IAU). Take a look to see if the index is above its 30-week moving average which is my favorite long-term average. The 30-week average is a classic from the great Stan Weinstein and it does an amazing job of supporting major bull moves. Next, is the sector is making higher highs and higher lows. This should be really simple to identify on a weekly chart. If you are having trouble finding these points, then the sector is not trending hard enough. Next up, does the sector have any trading volatility? You could be asking yourself, why do I care? Well volatility dictates how much of a rise you can expect. For sectors as volatile as the biotechnology industry, you could be well within your rights to assume you can make a 100% or more on a long-term buy and hold trade. Conversely, if you are trading a retail stock, a 30% gain could be all that the longs have in them, because the industry does not have the wild fluctuations of an FDA approval or new wonder drug. The last time I checked, pants are just that, pants. To check the volatility simply, add the ATR indicator to the bottom of your chart. You can use the standard 14-period when performing your analysis. 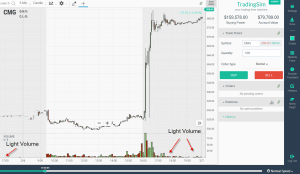 If you would like more information of how to configure and use the ATR indicator, please read this article on how to trade volatility. The last step is to look for increased volume on each successive high and a reduction in volume on each pullback. This is confirmation that the bulls are in the driver’s seat and bears are just going along for the ride. To quickly recap, the sector should (1) be above its 30-day moving average, (2) making higher highs and higher lows, (3) healthy level of volatility and (4) heavy volume on each up move. Once you look at the top 10 or so sectors there will be some very clear winners. Just to be clear, if the chart is flat to down, you need to keep looking. If you see a chart that appears to just keep rising and rising, she is the sector of choice. Now that you have identified the strongest industries, your next step is to drill down within the respective sector to identify the strongest stock. Once you have drilled down to the exact stock, you now want to identify your buying opportunity and also determine the potential profit target of the trade. For stocks that are on the rise, the last thing you want to do is buy the stock while it’s rising. I know this is counter intuitive, but if you buy the rallies, you are increasing your risk as the stock could move against you quite a bit before making another high. So, look for a clear support line or channel in the current uptrend. Depending on the length of time the stock has been rising, this support line should be evident on the chart. Once the stock pulls back to this support line you will want to buy at this point. Don’t worry if the stock penetrates the support line a bit. This is a common technique used by the smart money to shake out weak longs. Once you are in the position, your first sell target will be at the last swing high depending on how the stock performs when retesting the level. If the stock struggles, or looks weak, look to exit the position. If the stock cuts through the level like butter, then look to sell at the supply line or top of the channel. Another option is to just buy the test of the support line in the up channel and hold until the stock breaks through this channel convincingly. This could mean you hold the stock for months or maybe years. An example of this would be with Tesla. Once Tesla started going parabolic, it never broke its trend channel to the downside, so you would have rode the stock from the high 90s all the way up to over 300. Most traders will never be able to sit through such gains until they have been trading for quite some time. So, the approach of buying at support and selling at resistance will likely prove more profitable over the long haul versus looking for the grand slam trades. Moving along to my short-term traders, a.k.a day traders. You should care less about which sector is trending or for how long. All you need to concern yourself with is which stock is on the rise today. You may say, “what does he know, it’s really important that I understand the larger trend at play or what the Dow is doing today”. You my friend always have the freedom of choice, but from experience, the more you complicate trading, the harder it will be to make any money. All you need is a market scanner, which shows you the top stocks on the rise. The only caveat is that the stock needs to have enough volume that you can actively day trade the issue. I’ve seen where some scanners for example on TradeStation, will show you a stock that’s up 250% on the day; however, the stock has only traded 50,000 shares and is a 3 dollar stock. Not sure about you, but I need to be able to get in and out of a position with ease. The last thing I want to do is get into a bidding war with the market makers of the stock. Once you have identified the stock that is moving for the day, you have two options for how to trade the issue. (1) You can buy the stock on a pullback to a clear support line, which is the same approach taken by the long-term investor, except you are on an intraday chart (i.e. 5, 15 or 30 minutes). (2) Or, after a slight pullback you can buy the break of the daily high as confirmation the stock is likely to move higher. Over the years, I have seen both techniques work well; it really comes down to your risk profile. If you want to risk fewer dollars then buy the pullback. 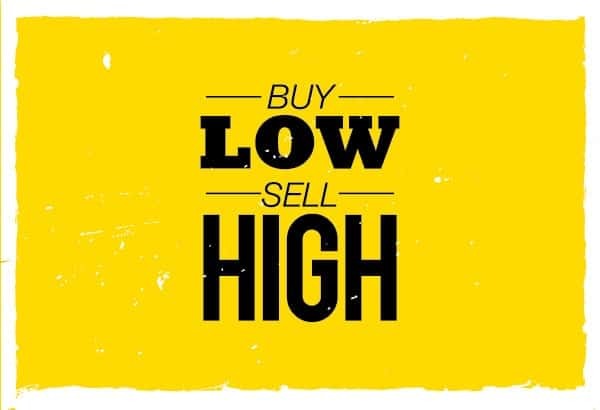 If you are ok with the stock potentially failing at the high of the day, but would rather know it has legs, than risking the money to buy at the breakout point will better suite your trading style. Now that we’ve covered both long-term and short-term traders, it’s now time to delve into some of the common questions traders have regarding stocks on the rise. This one never gets old. Those of you that are readers of the Tradingsim blog fully understand that I think of penny stocks as lotto tickets. Before I get the hate email, I am fully aware that you can make money trading anything in the market if you know what you are doing. My issue with people looking for penny stocks on the rise, is they are hoping to hit that 10x or 20x trade and make a fortune overnight. This to me speaks to the trader’s homerun mentality and their lack of desire for putting in the hard work which will make them a lasting success. 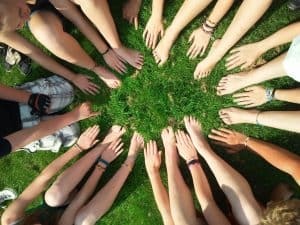 Now if you are not in this group of people, but truly are looking for cheap stocks on the rise with high growth potential, then you will want to use the same techniques I have identified for both long-term and short-term traders. The techniques will work just the same on penny stocks. 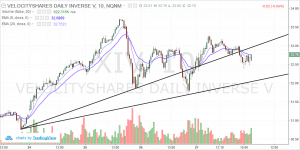 The one thing that you will need to be prepared for is the volatility that comes with trading penny stocks. Meaning, you will have to be willing to sit through some pretty nasty shakeouts before making the real money. What, you didn’t think they were going to make it easy for you did you? The crystal ball gurus make me sick. If you search for stocks predicted to rise on Google, you will get back a ton of results from so-called experts willing to tell you which stocks are hot for the year. Now that we are in January, these sorts of articles tend to pop-up all over the place as these fortune tellers put in their predictions for the year. Let me tell you a little secret. The further you move out in time, the less accurate predictions become. I can’t tell you what a stock is going to do in the next 15 minutes, let alone a year from now. All we can do is develop a trading plan and react to the stock as traders place their money on the line. If you want to buy a stock on a long-term basis because of your own research and you have a trading plan, then great. But, if you are looking for some hot shot to give you a stock tip on which stock will take off this year, you are going to end up in a world of trouble. These gurus will make 10 predictions, because they only need 1 to work out, so they can boast to all of their Twitter followers that they are some sort of trading genius. Meanwhile you and a number of other unfortunate souls were in one of the other 9 stocks and took a bath for the year sitting in a dead position. If you haven’t picked up on it, I DO NOT LIKE STOCK TIPS! One of the challenges of finding stocks on the rise is to first allow the stocks to rise before buying them. Sounds logical uh? The market has a funny way of making us feel like we must predict her next move in order to make money. I guess it’s the competitive spirit where we feel the need to get in front of the market, because it makes us feel powerful…almost as if we are controlling its movements. 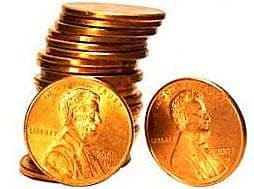 When looking for stocks on the rise, you will come across a number of penny stocks ranging from 25 cents to 2 dollars. Out of these stocks you will see a number of them which have had some sort of breakout and are giving the appearance that they are ready to run. The issue is for every 10 of these stocks only one will make it. Now you could say, well that sounds like decent odds, I’ll spread equal money on every stock and one will hit. This sounds reasonable in theory, but much like the lotto ticket referenced above, the disciplined required to sit through a monster winner takes years to get to that point. So, instead of trying to anticipate which stock will be the high flyer, just wait for the stock to breakout on its own. This way a significant sign of strength and a solid uptrend channel will give you the confidence to know you have made the right decision. One of the key things you should look for is stocks which rise with extremely high volume. High volume moves are the breadcrumbs left behind by the smart money. You should wait for the stock to pull back on lighter volume and then look to enter the trade. Allowing stocks to develop these strong uptrends also reduces the number of potential trading opportunities as you are scanning the market. Whereas before you saw 10 or 15 possible stocks to buy, that number will likely be reduced to only 3 or 4 stocks. 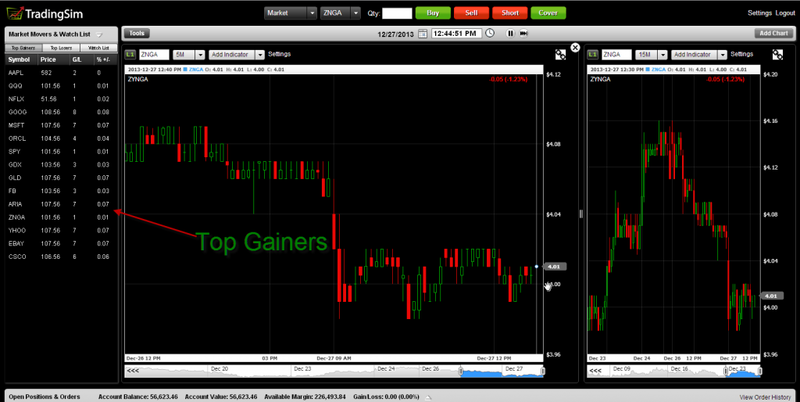 This will increase the likelihood of you selecting the stock which is likely to go on a run. Shorting can be a profitable approach to making money in the market, just like any other technique. However, shorting a stock on the rise is a sure way to increase one’s blood pressure. Going back to the previous section where some traders feel the need to predict which stocks will rise before they have had a chance; there is also a group of traders that feel the need to predict when a stock on the rise has seen its last sunny day. I personally feel that the need to call market tops and bottoms is one of the unhealthiest traits you can find in a trader. I’ve seen guys beat themselves up trying to calculate the exact peak, only followed by the utter disbelief that follows when the stock gaps through their critical reversal point. The old adage of the trend is your friend is too simple for some. When trading, you have to learn that the market is going to do what the market is going to do. Your greatest chances in succeeding do not come from trying to outsmart the market, but rather getting in the passenger seat and buckling up for the ride. Now that we have finished talking theory, let’s look at a real world example of how you can apply the methods identified in this article to spot stocks on the rise. For all you day traders, as you read earlier in the article, you simply want to find the stocks on the rise today. Your trading application should have some sort of market scanner or screener like Tradingsim, where you can quickly cycle through the hot stocks of the day. Once you click through the stocks, you will want to find the stock that best fits your risk profile. I know you were probably expecting me to show you every single step, but for short-term traders, this level of analysis only complicates things. You need to make quick decisions and if you have the proper software, you will quickly see which stocks best fit your edge. Buy low and sell high. This is all we are looking to do when trading stocks on the rise. If you begin to complicate it more than that you will run into problems. Great article, but I think there are instances where you can actually buy a stock before it rises and you can short sell a stock while it rises. 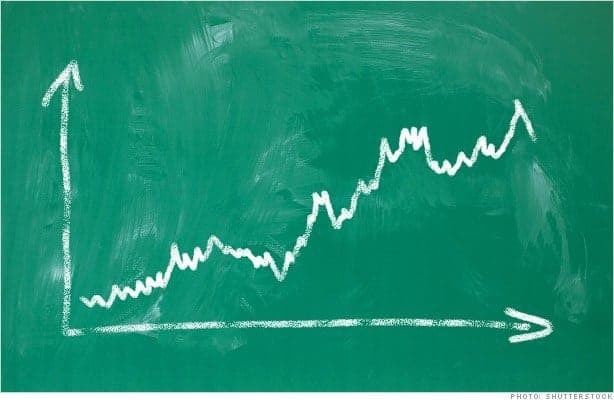 If a stock has closed lower 5 days in a row, it has reached a 52 weeks low and you do not see anything with the company business model, it is safe to buy that stock. Likewise, if a stock rises five days in a row and it reaches 52 weeks high it is safe to short sell it. I have found that most stocks that fall into one of these two categories end up changing direction the next trading day or few days later.